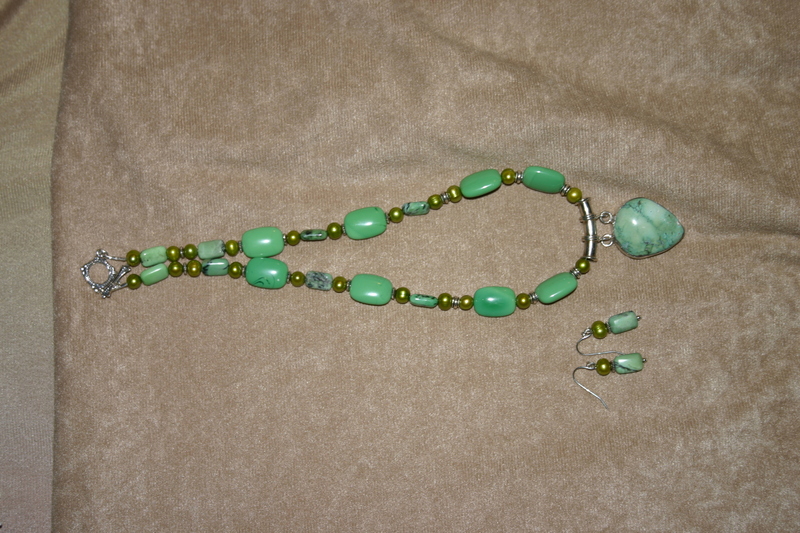 Beautiful one-of-a-kind green turquoise necklace with matching earrings. Has great healing property for the heart. Turquoise is a good general healer for illness and strengthens and calms the body and mind. A native american classic, Turquoise is high in copper content, it is a gentle, cool soothing stone. It symbolizes our source and spiritual love for healing. Increases serenity, protection, meditation energy, wisdom, balance, honest communication, strength, friendship and love. Connects us with all life.